Is it time to renew your homeowners or auto insurance but you're dreading sending in the payment? Simply canceling the policy, without a new one in place, is just not an option. Texas state law requires all drivers to have a minimum amount of auto insurance, and your mortgage company requires you to have a policy in place for the duration of your loan on the property. So now is the perfect time to do some shopping around, get some quotes and compare the policies to find a new, more affordable insurance policy. Many people are able to find policies that give them more value for the same, or less, money. Better yet, it only takes a few hours of your time! While this may not be the most glamorous or exciting way to spend your afternoon or weekend, it's a task that has the ability to keep more money in your bank account. And it couldn't be much easier; you don't even have to leave the comfort of your sofa. To compare prices, you simply need to use the online tool at the Roy Bingham Insurance website. Just enter the requested information, submit it and you'll soon receive a list of nationally recognized insurance companies that serve your neighborhood. During this process, if you run into any difficulties or have questions, our team is on hand to answer your questions and guide you. Here at Roy Bingham Insurance we serve Arlington, Dallas-Fort Worth and Mansfield and surrounding communities. As an independent agency, we work for you to answer all of your questions and help you find the policy that gives you the most value for your money. 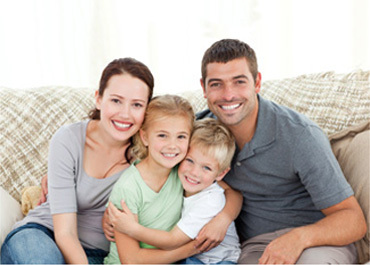 Contact us today with your questions or to start searching for a new home or car insurance policy. Website Development by EZLynx® • Roy Bingham Insurance Copyright © . All Rights Reserved.